Laurie McNeil discusses Millie's role in creating the Climate for Women Site Visit Program, and improving the climate for women at universities. As the last speaker of this session, I want to talk about Millie's influence for women in science, both nationally and internationally. As I said, I was a post-doc from 1982 to '84, and she continued to have a profound influence on my career, thereafter. But, as important as Millie was to individuals like me, she also did a great deal to change the environment in which women physicists pursue their careers. And, thus, Millie contributed to the success of many women whom she never met. Now, the previous speakers have discussed what she did at MIT and how much the experience of the students, here, changed as a result. But I want to talk about her work on behalf of women in science beyond MIT — nationally and internationally. Specifically, I’d like to talk about the Climate for Women Site Visit Program, which she was instrumental in establishing. As Sheila has already mentioned, some of Millie's work in the national scene included her work for the National Academy of Sciences, and also her work with APS — first, as president, and then, subsequently, as the chair of the Committee on the Status of Women. Now, usually, people do that in the reverse order! But it was very much like Millie to have the most prominent role, as president, first — and then, later, to serve in a supporting role. Let me explain, to you, the origin of the Climate for Women Site Visit Program. As has been mentioned, before, the APS committee on the Status of Women in Physics was established in the early 70’s, by Millie Dresselhaus and Vera Kistiakowsky (MIT). Two decades later, Millie was serving as chair of APS, and Judy Franz was chair of the American Association of Physics Teachers (AAPT). Judy Franz is one of the women that I like to call the ‘grand old ladies of physics’. These are the women in the generation before me, whose leadership and perseverance made it possible for me to have the career that I have. Now, Judy, of course, would later go on to become the Executive Officer of the APS. But let’s go back to before that time. APS and APT run a joint annual meeting, at which physics department chairs come together to discuss common concerns. At the meeting in 1990, there was a presentation made about the lack of representation of women among physics faculty members, graduate students, and undergraduates. Statistics were shown, and they were rather dismal (in fact, they're still rather dismal, but it's gotten a bit better). The department chairs in attendance were shocked and startled by this… although why they were shocked escapes me. However, in the end, they passed a resolution asking for help in recruiting and retaining women at all levels. In response, the relevant committees of both of the two organizations held a joint meeting to discuss the actions that university physics departments might undertake, in order to improve the representation of women. The members of the committees, partially from their own experience, realized that many physics departments are not particularly welcoming places for women, and that women often face a chilly climate in such places. Therefore, the committees charged Millie and Judy to put together a program to help departments improve the climate for women. The idea was that visits would be made to different university departments, so that the committee could find out what factors contributed to a warm or chilly climate. Then, when the site visit was over, they would inform the departments of their findings, thus allowing the departments to take steps to improve the climate and make themselves more welcoming to women. Millie and Judy took this very seriously. They assembled some teams of senior female physicists — people like Myriam Sarachik, Ellen Williams, Lillian McDermott, and Miriam Forman, to name a few — and arranged for some pilot visits to sites that had friendly and supportive department chairs. They used this as a test of the idea. But what they saw, on those pilot visits, convinced them that all departments need to improve their climate — and that all departments could do so! As Judy Franz told me, Millie saw up-close what women students and faculty were facing, and it energized her into becoming even more committed to helping them. Now, of course, the next step for a physicist, in any project, is to write a proposal to NSF. Millie and Judy did so. This made Millie and Judy co-PIs on it — although actually, Judy wrote most of it, and it was submitted through AAPT. The stated goal of the project was to gather information about the climate for women in physics departments across the country, and then to feed this information back to those departments, accompanied by suggestions outlining how each department can assess its own climate and then act to improve it. The proposal was funded for about $57,000 — which would be about $100,000 in today's dollars — to be spent over four years. Now, the NSF division of human resources, which granted this award, is the program that currently handles the ADVANCE grants, which are intended to systemically transform institutional practices and climate at universities and colleges, in order to recruit, retain, and promote women in science and engineering academic careers. That program began in 2001. 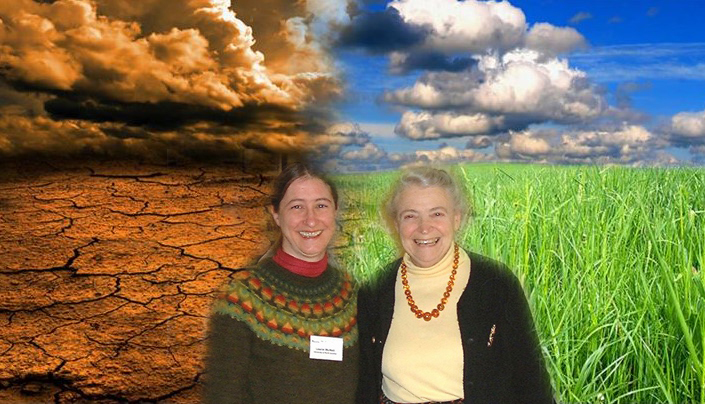 And I speculate that Millie and Judy's final report on the Climate for Women Site Visit grant may well have influenced NSF in designing and developing the Increasing the Participation and Advancement of Women in Academic Science and Engineering Careers program (shortened to “ADVANCE”), thereby extending Millie's influence, in this area, across other disciplines. So, early in the program, the visits were all led by one of these three ‘grand old ladies’, but each team included three to five other female physicists who, thereby, gained experience and were then able to lead visits on their own. This proved to be a tremendous opportunity for leadership training for women in physics — women including me! And the task of reviewing a department gave us insight into how institutions work — or how they don't. And comparing different departments, including our own, gave us a perspective that we, otherwise, would not have had. That perspective was invaluable to women, who went on to lead a department or to lead a large collaboration — and who did a very good job at it, because of that perspective. This was especially true because the focus of these visits was on human behavior — which is always the hardest part of leadership, especially if you're trying to lead physicists. So these site visits weren’t just vital to changing the climate at many universities; the program, itself, was a wonderful learning experience. And the younger members of the team got a chance to observe Millie and the ‘grand old ladies’, as they dealt with some very tough situations. As Judy Franz told me, "We always said that we would only go where the chair invited us, but, to be honest, most of the first visits had to be finagled. We would contact sympathetic members of the department and get them to put pressure on their chair to invite us. It was quite threatening to the chairs, at first, as we found some rather startling bad behavior." Ruth Howes, who's another one of the ‘grand old ladies’, recalled a visit in which Millie “gave the department Hell over its track record with women. Politely, of course.” It was highly instructive to listen to Millie deliver difficult news to a department chair or division head, but do so in a way that was likely to create institutional change, instead of just creating additional resentment. Now, since the program began in 1990, visits have been made to 53 universities — which is over ¼ of the universities that grant the PhDs in physics, in this country. And because the visits tend to go to larger departments, those departments collectively educate over a quarter of the physics students in this country, and they employ over a quarter of the physics faculty members. In addition there have been visits to 17 national labs and large collaborations. Also, to date, well over 100 women (or around 15% of all female physics faculty members, in this country) have participated in one or more site visits. I, myself, have done 11 of them. And we learned from Millie, and from others, how to foster change so that we could improve the success of women in physics. Now, NSF always looks for the broader impacts of every project that it funds, and this one has a very broad impact that continues, today. Each department, after a site visit, was required to send back, six months later, a confidential report on what they had changed as a result of the visit. Here are a few items that came from those reports and from subsequent observations. In general, there were improvements in the climate for women — and also for men! There were increased efforts in recruiting and communication between women and department chairs. There were improvements in advising and facilities, mentoring, and safety. There was an improved handling of sexual harassment — a very important point, as we all know. There was an increased awareness of the differential effect of climate on women (and on men), and there was an increased action on the group that I call the ‘benign clueless,’ which are the people who really want to do the right thing but aren't aware that they're not doing it. There was one department that acquired a women's restroom, as a result of the visit. And there were a few timely departures from leadership positions. The impact of this program has been dramatic enough that other professional organizations want to start similar programs. In fact, the mathematics community is now working to set up such a program by shadowing some of these visits. Now, of course, Millie's impact on women in science went beyond her work for the National Academy of Sciences and her work for APS. But from that work, she acquired a better understanding of what she, personally, could do to help female scientists achieve success. For example, whenever she gave a talk or physics colloquium or symposium, somewhere, she would always make it a point to meet with women and meet with students, so she could talk about their work and their professional lives. And, whenever she received an honorary degree, which happened rather often, just seeing her up there on the podium receiving this honor was inspiring for women students who were there, in the audience, who may not even have been entirely sure who she was, but still felt that seeing her up there was an inspiration. And because her stature led her to be asked to serve on so many selection panels for grants and prizes, visiting committees, governing boards, etc., Millie was able to give input to high level leaders who respected her very much. She was able to tell them how they could make things better, not just for women, but in general. And this was true not just in the US, but all around the world. Here are just a few examples of many. She was inspirational in the establishment of the Lise Meitner lectures by the Austrian and German Physical Society. In fact, she gave the first lecture. That lecture is intended to bring outstanding female researchers before a broad audience, and to inspire young women to study physics. And, of course, Millie always provided that kind of inspiration. In fact, she was so revered in Germany that the University at Hamburg established a prize and a visiting professorship for women scientists, in Millie’s honor, in 2013. So her influence on the climate for women in physics and in science has truly been global. 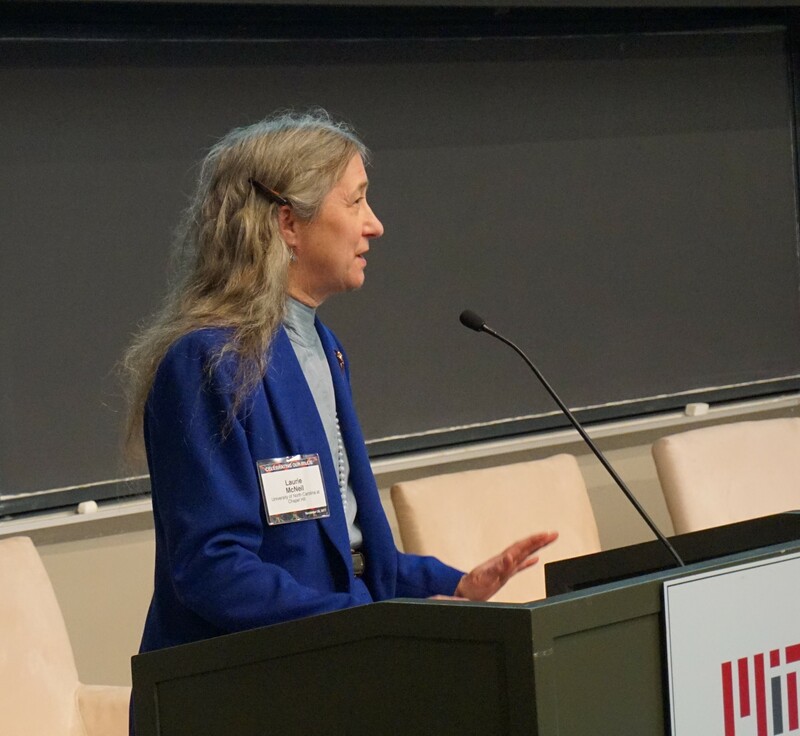 As someone who has benefited immensely from her efforts on behalf of women in science, I want to say — thank you, Millie, for your work on behalf of women in science at MIT, in the US, and around the world. Our professional lives are better because of your efforts. And it's been good for science, too.